This afternoon I have been working on getting the summer photos organized. There are just a few that I want to share with all of you from my garden. Especially since the summer gardening season is winding down for many of us “green thumbs”. 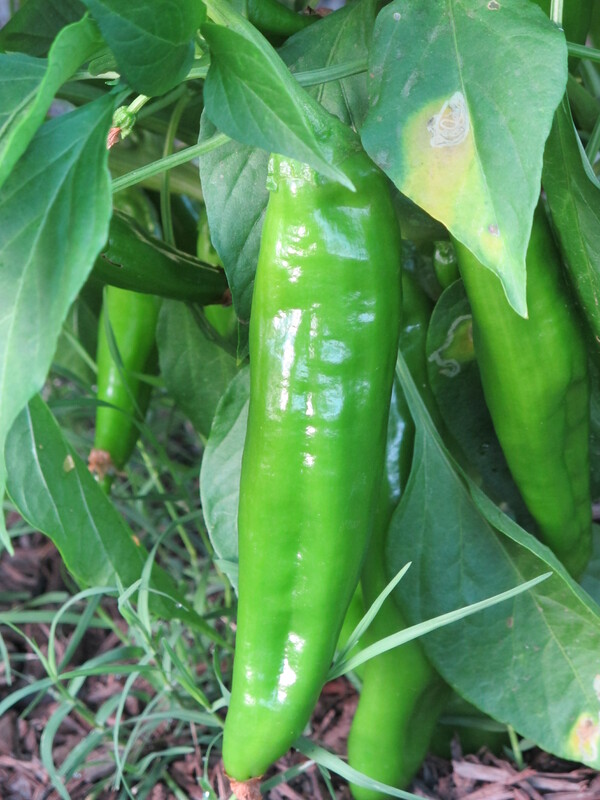 First up – the lovely jalapenos. Mild and yummy just for me, since I’m a huge “spice weenie”. I don’t like the heat, just the jalapeno flavor. I’ve harvested close to 8 dozen of these beauties. Can’t wait to share my daughter’s roasted salsa recipe with you. Next up – the mini pumpkins. 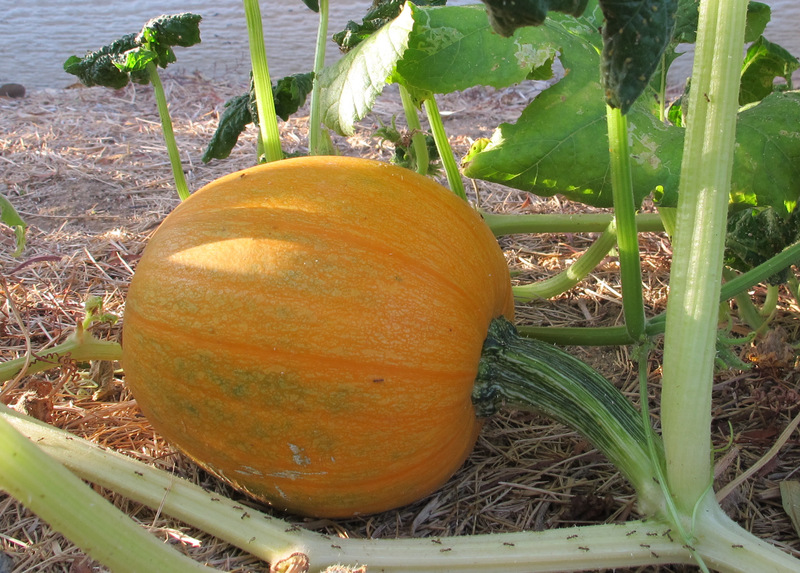 This is a Burpee variety of pumpkin, called Small Sugar. They can probably be used for pumpkin baking, but for my purposes they will most likely just be decorating the house for fall. Then there are the sunflowers. Evan and I had planted the huge, big sunflowers, and right after they bloomed they got attacked by this ugly fungus and I ended up chopping them down. But they were gorgeous for a little while. 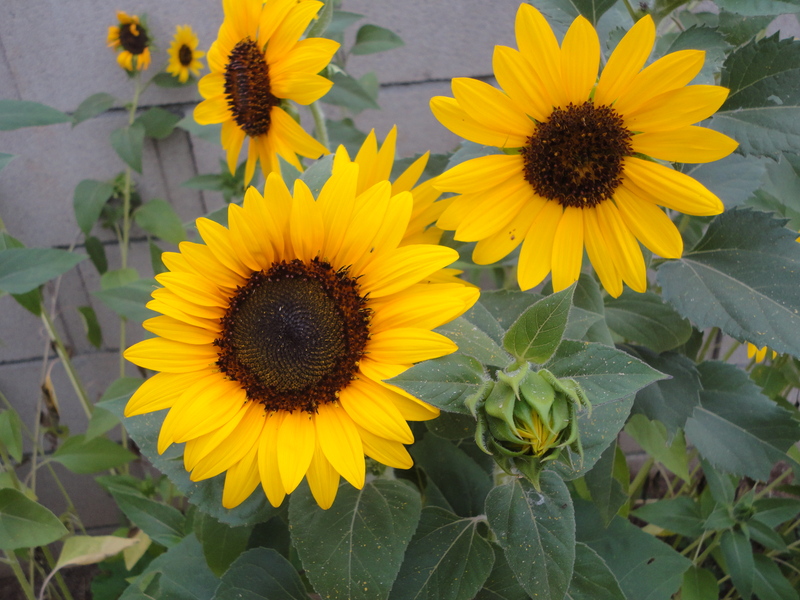 There were also had the small sunflowers, which made a great backdrop in the garden. I had cut some of these and brought them in the house too. But, they still had so much pollen dropping I only did that once. They were a little messy, but very sunflower pretty. 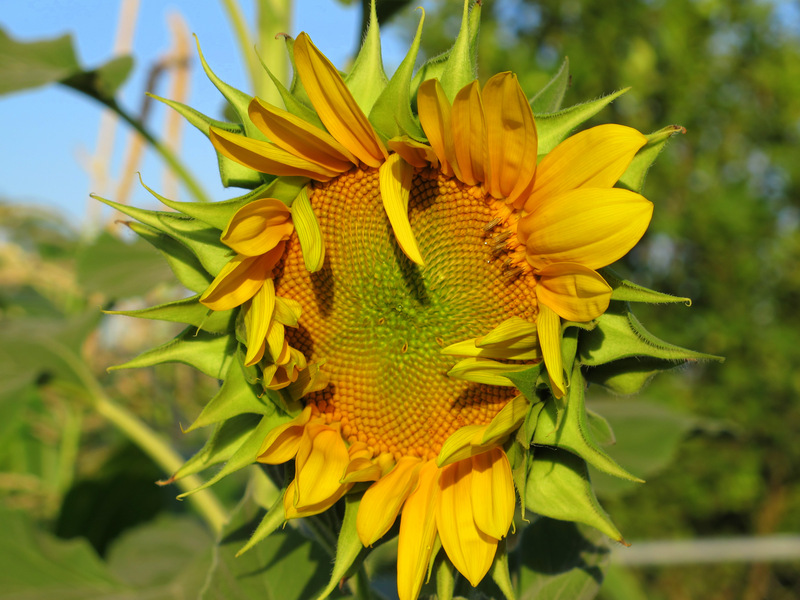 Then there was this little sunflower, and I think he was saying, “Do I have to wake up today?” Kind of funny. 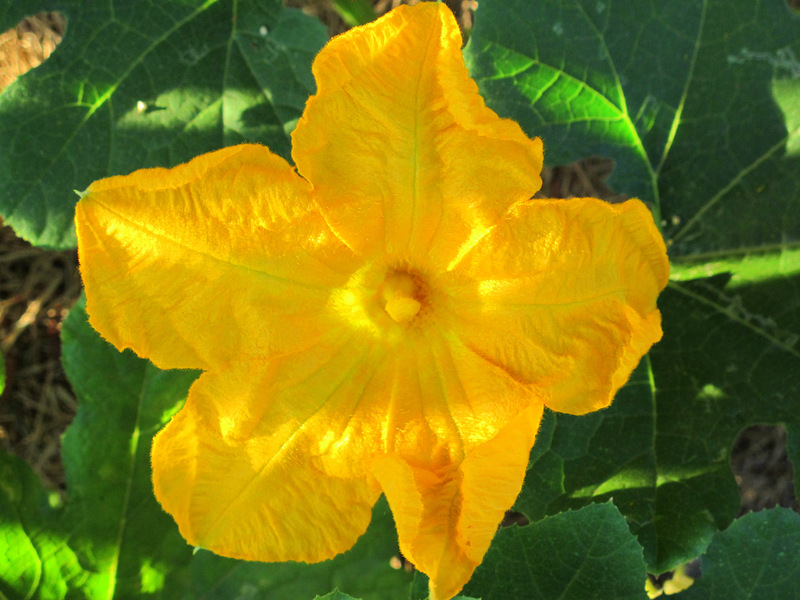 Last flower of the day is the lovely zucchini blossom. 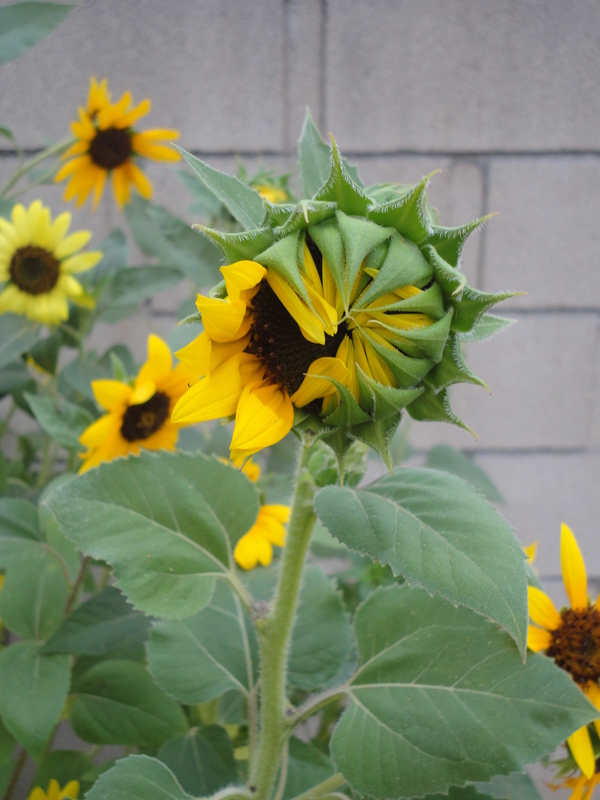 I took a lot of pictures of these blooming, because the flowers are huge. This is one of my favorites. I’m still harvesting a few zucchini, and making all kinds of baked goodies from them. Now I am in the process of planting for a winter crop of cucumbers, sweet corn, spinach and lettuce. This is the first year I have attempted plantings after the summer harvest. We are fortunate here in California to have a second growing season, and this year I will be taking advantage of it. How did your garden grow this summer? What is your favorite fruit or veggie from your summer garden? I love the pictures of you r garden. I also grew sunflowers for my daughter’s wedding. I still ended up buying some because mine bloomed about 2 weeks too early! 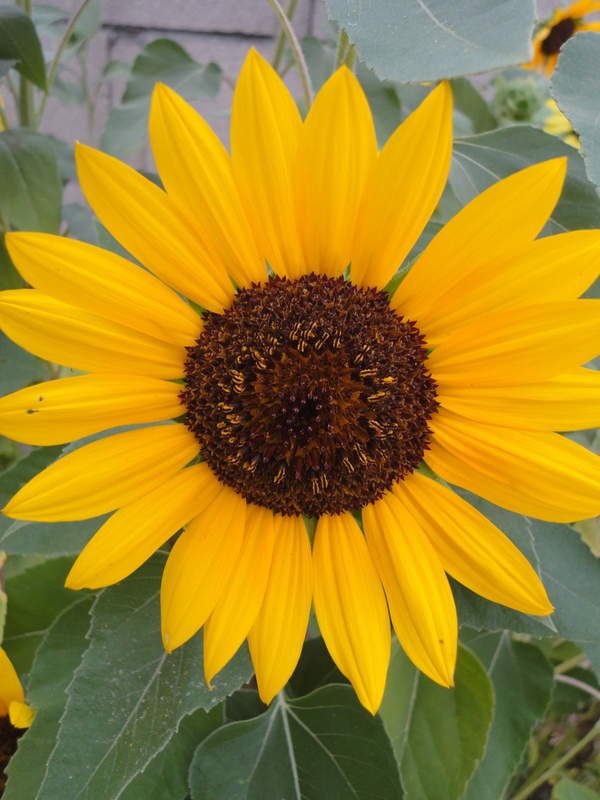 I love sunflowers but I do agree about the pollen! Sunflowers at a wedding would be beautiful. What a great idea. Thanks for stopping by and have a wonderful weekend.